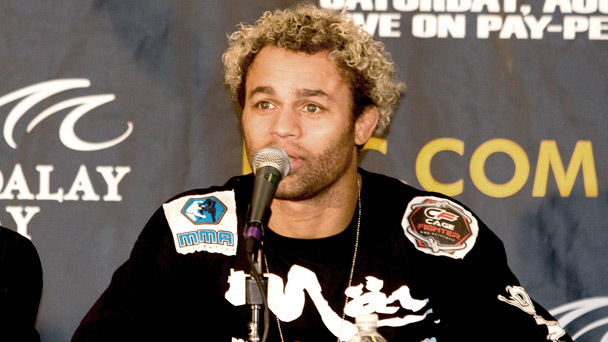 Josh Koscheck to face Matt Hughes for UFC 135 in lieu of Diego Sanchez. UFC matchmaker, Joe Silva, didn’t have a hard time finding a replacement for Diego Sanchez at UFC 135. Josh Koscheck was tapped to step in for the latter, and will face Matt Hughes on September 24. On early Monday, Diego Sanchez was confirmed out for the Denver card after he suffered a broken hand during training. Josh Koscheck has been out of the Octagon since last December, when he lost a unanimous decision to UFC welterweight champion — Georges St-Pierre. He suffered a broken orbital bone during UFC 124, which required him to undergo surgery. In August, he announced his plans of competing for UFC 139 in San Jose — possibly even at middleweight. But assuming that Matt Hughes accepts the fight, he’ll be fighting in just over 3 weeks — and at welterweight. Meanwhile, there’s still no official statement from UFC if Matt Hughes decided to take the fight against Josh Koscheck or not. What's next with Matt Hughes After UFC 135?